Historically, the South has not been known as a bastion of gambling. In fact, the South has been opposed to gambling. Of the 13 states that have historically been considered Southern, only a few have legalized gambling, such as Louisiana and Mississippi. Only one state of the 13 has legalized sports gambling—Mississippi. In general, gambling legislation was a non-starter in the South, as many states in the South have Conservative Christian majorities. However, the flavor of the South has been changing over the last 20 years. Immigrants have moved into the South. In addition, Americans from Northern states have moved into the South to take advantage of lower costs of living and better job opportunities. Because the South has undergone drastic changes, several states tried to pass gambling initiatives during the midterms. However, the results in the South during the elections were a mixed bag at best. In a surprise to many gambling experts, who predicted that the state would not be able to get gambling legislation passed, Arkansas voted to approve gambling. The voters in the state agreed to allow gambling in casinos. People in the state also voted to legalize sports gambling. Casinos will be located at two racetracks in the state first. One of the casinos will be located at Southland Park Gaming and Racing in West Memphis. The other casino will be at Oaklawn Racing and Gaming in Hot Springs. In addition, two casinos will be built near Little Rock, which is the state’s largest city. Sports gambling will take a bit longer to get into position, because they will most likely be housed in the casinos. The new measure states that applications for sports betting licenses must be started by next June. In another victory for gambling, the state of Louisiana opted to have each parish decide whether to allow daily fantasy sports into parishes that vote to approve gambling. Of the 63 parishes in the state, 47 agreed to allow daily fantasy sports, such as DraftKings and FanDuel to operate in those parishes. 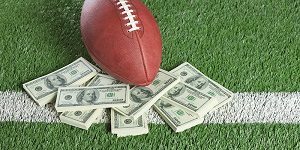 Most gambling experts believe that the parishes that voted for daily fantasy sports will most likely vote to legalize sports gaming in the future. The state, which has 20 casinos, has said they welcome the addition of sports betting when it comes. 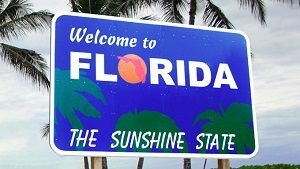 While two states voted to expand gambling, Florida voted to restrict it. Voters approved Amendment 3, which means that any future casino expansion will have to be voted on by the voters rather than the legislature. While some Floridians are celebrating the passage of Amendment 3, others are not so sure. Many people were concerned because the two major backers of Amendment 3 were the Disney Company and the Seminole Tribe. The Disney Company has previously stated they are against gambling because they believe it ruins the family-friendly tourism. The Seminole Tribe has a monopoly on casinos in the state, and did not want competition. Gambling experts say that because of the new amendment measure, it will be very difficult to move sports betting into Florida. Also, because most gambling experts believe that competition in gambling businesses are good for the gambler, because it keeps the house honest. Now, the Seminole tribe has a monopoly on casino gambling, which means that they set the odds. With no competition, there is very little the consumer can do to improve their odds of winning. It remains to be seen if other Southern states will follow the path of Louisiana and Arkansas. While some legislatures have talked about changing the gambling landscape, others, such as Alabama are steadfastly against it.